Paul Sell is a graduate of the ESO who chose osteopathy as a career change, having previous served in the British Army. 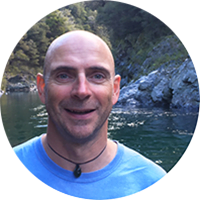 He now lives in New Zealand where he runs his own practice and employs three associate osteopaths. Osteopathy was something that had interested me for a long while. When I was in my early 20s I was a full time modern pentathlete in the British Army, which was quite strenuous on my body. I saw an osteopath to deal with any injuries and to give me a “tune up” prior to competitions. One of my fellow athletes left the Army, went to the ESO, became an osteopath and moved to New Zealand. I considered doing something similar about five years later, but was enjoying my Army career. Fifteen years on, my wife and I (who were both serving in the Army) decided we wanted to move to New Zealand, so I resigned, enrolled at the ESO. The rest, as they say, is history. Why did you choose the ESO? Having looked at the BSO and SIOM as well as the ESO, I felt that the ESO offered a broader range of techniques and approaches. Having visited the school, which as a location is an excellent environment for learning, met some of the staff, tutors and students, I was sold. It is a beautiful country; the people are friendly and have a healthy, relaxed attitude to life; their attitude to sport and outdoor activities is second to none. As far as osteopathy is concerned, it is a popular, growing profession, which is recognised by the Accident Compensation Scheme (ACC), which provides comprehensive, no-fault personal injury cover for all NZ residents and visitors. This means that osteopathic treatment is subsidised for those injured in accidents – however big or small. The osteopathic community where I live and work in the “Top of the South” is exceptionally friendly and supportive. Some of the best osteopaths in the country are ESO graduates, who regularly run post-graduate courses through the country and in Australia. After graduation I worked in a couple of private practices in Kent and East Sussex, as well as for a company that contracted to the NHS in Kent. I did that for a year or so until my wife left the Army and we then emigrated. I got a job as an associate working for my ex-military colleague in Blenheim, where I soon built up a busy list. Less than two years later, my wife and I bought the practice, which has come on leaps and bounds. We employ three other osteopaths and have recently taken on our first ESO graduate, who has been a fantastic addition to the practice. Has your career and move met your expectations? Most definitely! Every day is different and brings its own challenges – both from an osteopathic and business perspective. Osteopathy is a very rewarding profession and our patients are great. In NZ – especially where I work – we have great relationships with the GPs and surgeons, as well as local physiotherapists, massage therapists and acupuncturists. As far as NZ is concerned, there is nowhere else in the world I would rather be. Smaller population, less traffic, fantastic scenery and great outdoors opportunities. There’s no better place to live. If you’re a graduate of the ESO and would like to share your experience of practice life please email us at news@eso.ac.uk – we’d love to hear from you.